I am rather excited about my Alabama Chanin progress. Here is the test run garment that was thrown together before I spend hours and hours on hand stitching and appliquéing. This knit is more substantial and has a bit more stretch than my cotton jersey, but it was a useful process. 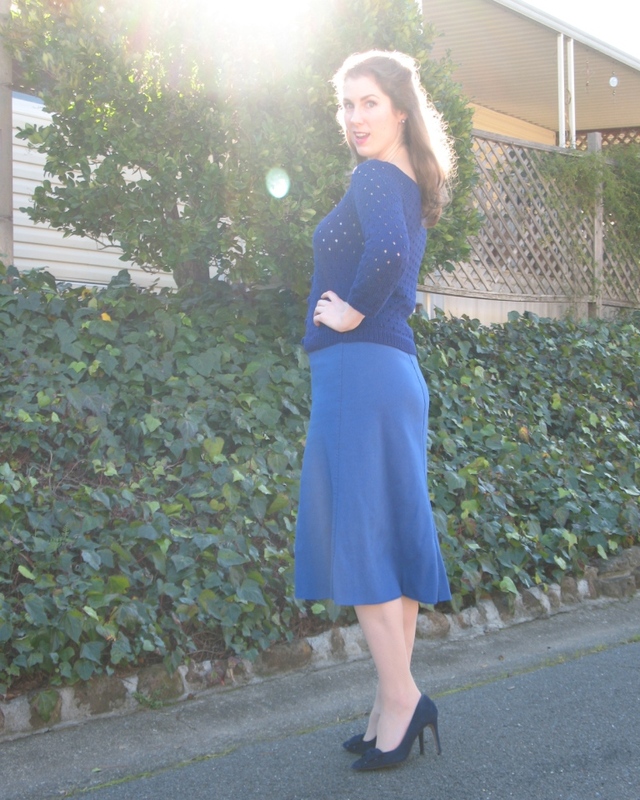 There really is not much more to say about a basic four seamed knit skirt. Although this one is a bit special because I believe this is my first knit fabric project (took me long enough to work up the courage!). It also gave me a reason to pull out this sweater . . . so I am going to call this one a success. For now, it is back to the hand appliqué work . . . I have one of my skirt pieces finished (except for some of the cutting) and am well into the stitching on the second. And I am enjoying every minute of it! I'm really looking forward to seeing the finished product. I've been sewing with knits, too, and I've been enjoying it. A very attractive basic skirt. You have the length and fit perfect. I am looking forward to seeing the fancy one! Very lovely, classic monochromatic ensemble. I've been feeling single hued looks like this big time lately. 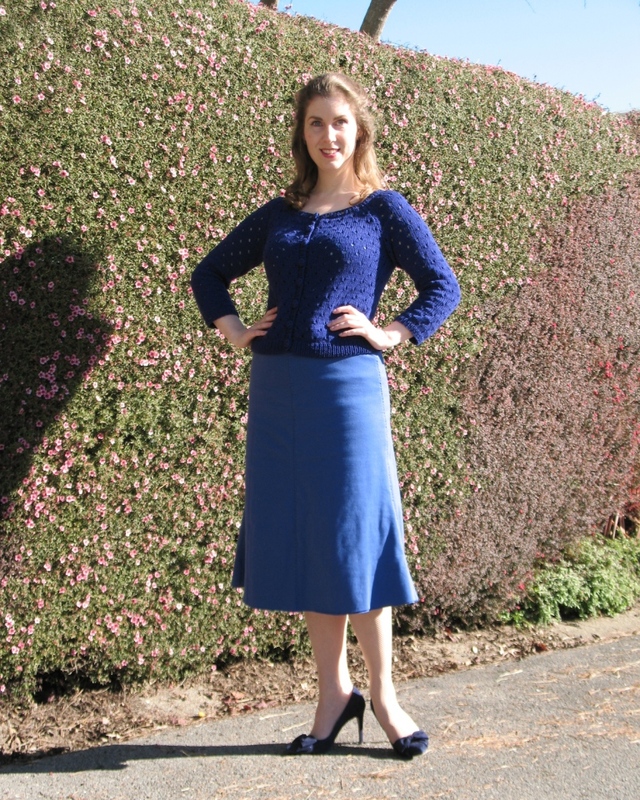 The skirt is gorgeous and looks great with the sweater. Knits are great fabrics to work with! Gosh that doesn't look like a knit skirt, very stylish. So glad that this "trial" skirt is playing so well with the other pieces in your wardrobe!